Medvedev: Smoking ban to save up to 200,000 lives a year | Russian Legal Information Agency (RAPSI). 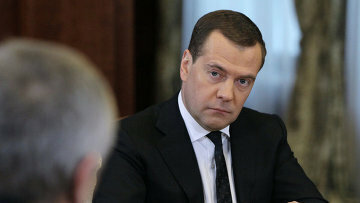 GORKI, April 24 (RAPSI) - Prime Minister Dmitry Medvedev said the ban on smoking in public places will help lower Russians' nicotine dependence and save up to 200,000 lives a year. Medvedev cited expert data according to which the ban will "not only save health but also up to 200,000 lives" a year, which is equal to "the population of a large Russian city." President Vladimir Putin signed the law banning smoking in public places and tobacco advertising on Feb. 25. The law will come into force on June 1, 2013, though some provisions will only become effective a year later. These include the ban on smoking at resorts, in long-distance trains, aircraft and long haul ships, on urban and commuter transport, less than 15 meters from the entrance of railway and metro stations and airports. June 1, 2014 will also be the date when smoking will be prohibited in hotels, cafes and restaurants, and on commuter platforms. Under the law, tobacco companies will be prohibited from holding lotteries and sponsoring festivals, and their correspondences with bodies of power will be published. Cigarettes will be removed from public view; stores will only be able to display a list of prices at the tills. The law also bans the sale of electronic cigarettes and naswar tobacco. 13:49 24/04/2013 Prime Minister Dmitry Medvedev said the ban on smoking in public places will help lower Russians' nicotine dependence and save up to 200,000 lives a year.